Friday Night! After a day’s work on my Book, I went to watch ‘Elysium’ with Tloml. Such a pleasure to spend time with him on his last day at one contract. He begins another contract on Monday. It is amazing the way things have changed for us. There was a time when life was a serious struggle all the time financially but now, with both our incomes, things are considerably easier than they used to be. And I still get to be a Stay at Home Mum with my princesses. I feel blessed and thankful to the Guy Above who gave us the power and choice to create wealth. You have it too, you know?! We are not unique. You too can envision what you want and start to create it. Elysium – The name is derived from Greek mythology. A place of perfect happiness or a place where certain heroes were taken to spend their afterlife free from cares and worries. 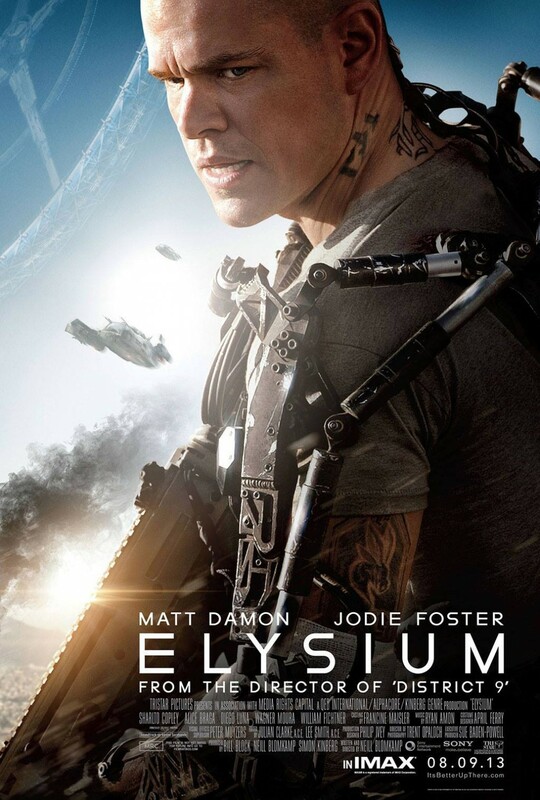 That is the basis of the film – Elysium is a place where the rich and wealthy get to spend their time while the poor and ‘unworthy’ live in cramped conditions here on the earth. The thing that struck me were the parallels with life today on this planet Earth. In some parts of the world, the UK and the USA and increasingly places like China are revered as ideal places to live. Places where the rich and wealthy abode and care nothing for those who suffer on the other parts of the planet. There can be envy and the desire to steal and kidnap people considered wealthier than themselves. Yet, in these places – UK, USA – some people feel exactly the same way. The so-called ‘poor’ are envious of those who hold power and wealth. They feel hard done by and cry out for ‘equality’ and require that the government, the wealthy help them achieve this. The common denominator is People! We love to cast blame :-). Inside of you is a strong desire to follow your dreams and yet like Max and Frey in Elysium, you feel stifled by life. Life has dealt you a rubbish hand, based on your background, your parents, your country, your circumstances etc. You have done the best you can and yet it is not getting you where you want to go anytime soon. You wait for a saviour to come and make things right. You are convinced that the solutions are to be found outside of you. You are convinced someone else should hand you your dreams on a platter. At least that is the way you act – That is the way I acted. And then just when you think things cannot get worse, they do! Follow Your Dreams! Yeah Right! Survival is the name of the game. This was me for a very long time. Are you Desperate Yet? Are you really ready to follow your dreams? or are you still wanting to coast? – Max had gone through a lot and he was trying to keep his head down and be clean thinking that that would mean his life would be fine. But as is the way when there is no real change, things got worse. He finally reached Desperation and he finally got angry. When you decide that this is not the way you want to live forever, when you decide that nothing else will do, when you decide ‘Enough is Enough’ – Then YOU will make things change. 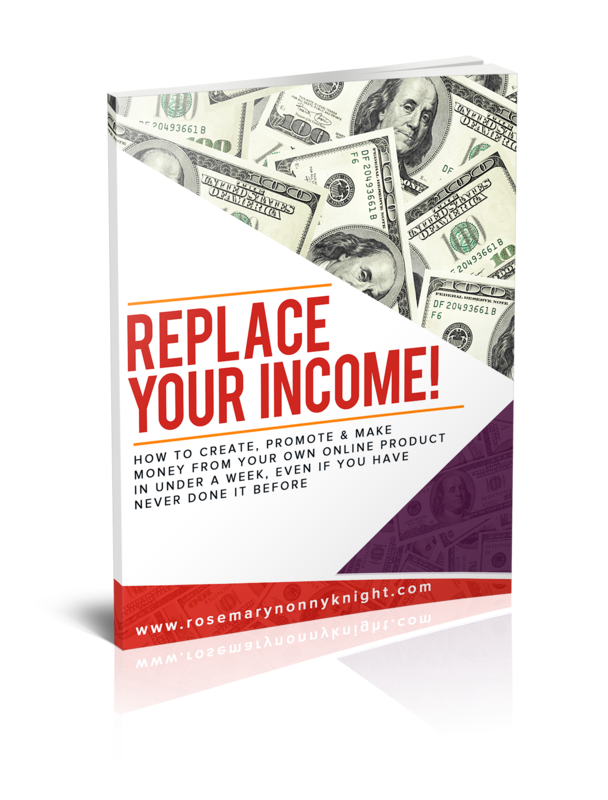 You will start a business from Home, you will build that relationship, you will do whatever it takes. Max and Frey knew they could not do it alone. They got some help. Ok so maybe not where you should go but when you are desperate, you will do whatever you need to in order to make things different. I remember starting my first successful business after a whole lot of dabbling before kids. I got serious because I knew my kids’ future depended on it. I immediately signed up for a course I could not afford in order to create the life I knew I could not make alone. What will you do to change your mindset and your future? Numerous things got in the way of his dream. He had dreamt that he would take Frey to Elysium one day and though he got sidetracked a lot along the way. He did it! Lots of challenges were faced down and defeated, friends died on the way and yet he kept moving forward. You can do it too! You can do whatever you set your mind to do. You can keep moving forward regardless of your challenges. I have absolute belief in you. Have a listen to my story and hear of some of the challenges I faced. And if there is anything I can do to help you get where you are going, please do not hesitate to get in touch. Your Perception is Reality. Is it time to Reconsider the Way You Look at Things?